To adjust the screen resolution, work through the following steps. The screens shown are from Windows XP. The procedure is very similar in Windows NT, Windows Me, and Windows 2000. 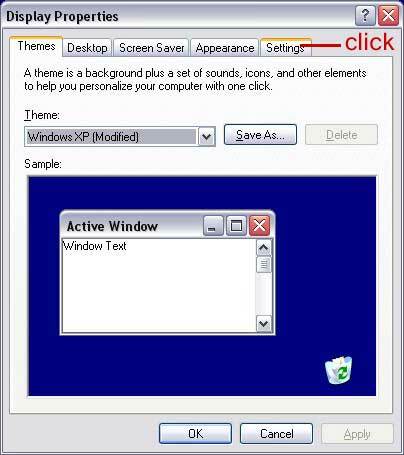 The first two steps in Windows Vista are slightly different, Vista instructions are given in BLUE TEXT. On some operating systems, you may be asked if you wish to accept the new settings or revert to the last setting. Click ACCEPT.